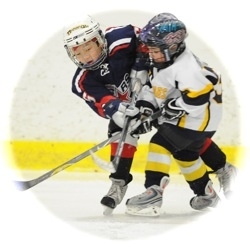 Travel Tier II hockey players in Illinois can skate for two organizations in their Mite through Midget playing careers. The first Tier II organization you play for becomes your first choice. You will have only one other opportunity (choice) to play for another travel Tier II organization through the Midget level. Some travel organizations have restrictive policies in effect, which limit a player's ability to move between his/her two choices. Glenview does not restrict players from returning if they play for another organization. All players and parents will be required to sign a "Two-Choice" Declaration Form when placed on a team.